About: Gregos is a french street artist who displays sculptural specimens of his face on the walls of Paris. Born in 1972, Gregos, grew up in the northern suburbs of Paris and he invented his own 3D concept using all the techniques he has developed as an autodidact over the years. His first steps in street art were in Graffiti painting during the late 80s. In 1997, after 2 years in Athens, Greece, he starts experimenting with sculpting and molding techniques. In 2003, he leaves for Boston, Massachusetts, USA where he initiates himself to acrylic and oil paintings. Back in Paris in 2006, he goes back to his first love: the street art. In the Montmartre neighborhood where he lives, the artist creates a replicate of his face, tongue out or smiling, that he paints and glues on the walls of the cities. Each face is a sort of self-portrait of the day to express his humors, his past, present, and future. At first, the faces were only blanks, and the message was the tongue out. Gregos’ street art concept is successful at inspiring interaction between the faces and by passers. As of today, more than 1000 faces have been installed, in Paris mostly, but also in other towns of France and of the world including Europe, USA, Japan and South America. Where you can see it: London, Geneva, Berlin, Monaco, Los Angeles, Athens, São Paulo, Wroclaw, Tokyo, and more. 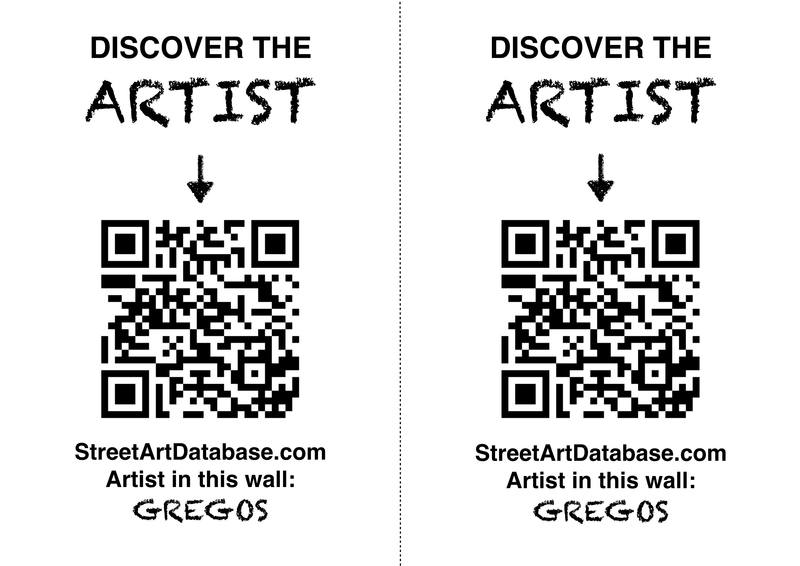 PRINT CODE: help tagging Gregos in the streets of your city! Posted in street installationBookmark the permalink.